Back in 1915, Albert Einstein first presented a set of field equations he had been working on for eight years. After publishing his Special Theory of Relativity, he searched for ways to work gravitation into his new framework, and finally hit upon a set of nonlinear and fiendishly difficult equations that describe how space and time must curve under the influence of matter and radiation. The physics community took a keen interest in Einstein’s General Theory of Relativity and began looking for ways to prove it. One of the predictions of the theory is gravitational lensing, or the deflection of light by massive bodies (lensing is also a prediction of Newtonian physics, but Einstein’s field equations predict about twice the deflection of light as the classical model). Measuring this effect, though, is no mean feat, mainly because the one thing massive enough and close enough to quantifiably bend light also happens to be really bright itself — the Sun. What was needed was a total solar eclipse, and conveniently enough, one would occur in May of 1919. 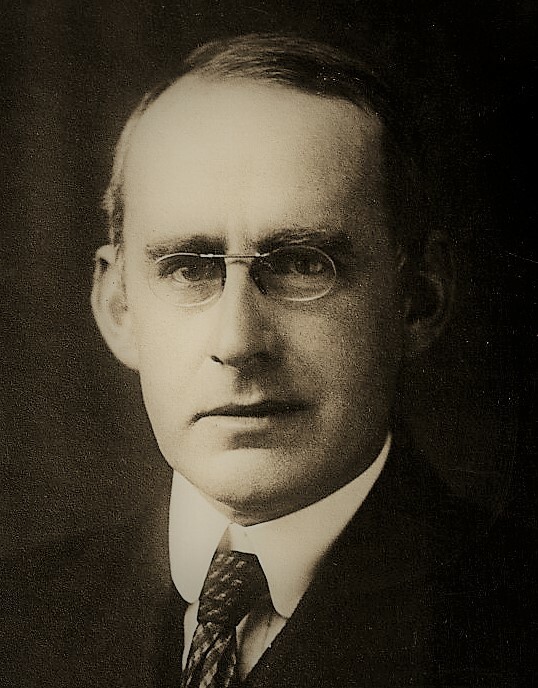 With only four years to go, and with the world torn by war, Sir Arthur Stanley Eddington planned a scientific expedition to the island of Principe off the west coast of Africa. He took a series of photographs of stars in the Hyades cluster, and through careful measurement found that Einstein’s predictions were correct. The publication of his results the next year made a huge splash in the popular press, instantly catapulting Einstein into the public eye and kicking off the age of Relativity. Curiously, although many other experiments were later conducted to further bolster General Relativity, the Eddington eclipse experiment wasn’t repeated until over half a century later. It’s easy to understand why, though. First, total solar eclipses aren’t exactly common phenomena, and ones that make landfall in accessible locations with at least the hope of good viewing conditions are rare indeed. And until recently, the equipment needed to capture high-quality images with enough precision to measure the vanishingly small gravitational influence of our modest little star was bulky, finicky, and heavy. The sole repeat of the Eddington experiment was a 1973 expedition, again to Africa, that used 6 tons of equipment to generate a single usable image on a 12″ glass plate. The data from the image was good enough to confirm the Eddington results, though. Advances in optics have made replication of the original experiment a more approachable endeavor lately, but there’s not much call for optical verification of a theory that’s been repeatedly verified by other methods over the last century. In fact, for confirmation of both General and Special Relativity, you need look no further than your smartphone, which uses both equations to correct the time signals from the cloud of GPS satellites orbiting overhead. That’s millions of verifications of the theory, every second of every day. So why is Don Bruns bothering? Why will he be on that Wyoming mountain, praying for clear skies and low winds? 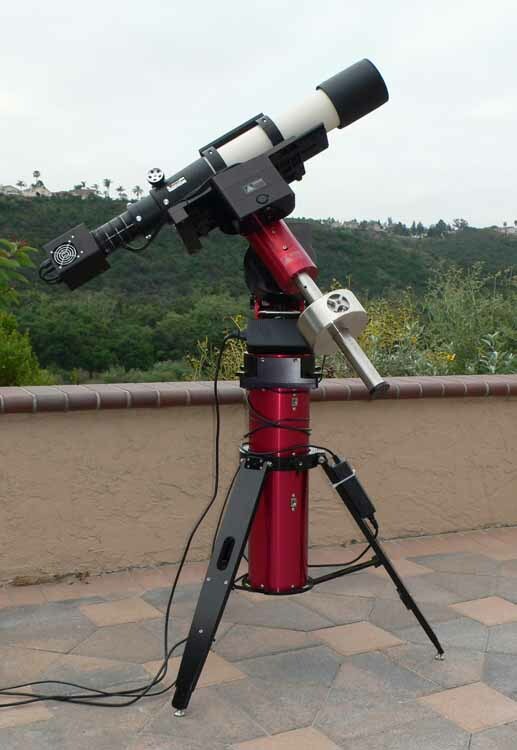 Why has he rounded up the best amateur astronomy gear he can find, made multiple dry runs, scouted locations, and even gotten permission to pour a concrete pad to ensure his telescope won’t move during the two minutes of totality? Why has he gone to the extremes he has? Don’s short answer is that he’s doing it for the challenge. When he first started mulling over the project, it seemed like the advances in optics, CCDs, and computers since 1973, not to mention since 1919, would make replication a breeze. As it turns out, 2017 will not be astronomical cake walk for Don. There are very few bright stars close enough to the sun to provide good points of reference, and the data on their non-deflected coordinates tends to be of poor precision. He needs to measure deflections on the order of 0.01 arcsecond. To put that into perspective, that would be like measuring the length of a pencil in Paris while observing it from New York. Add to these challenges that Don has just over two minutes of totality, which is pretty short for a total eclipse, and an errant cloud, a gust of wind on his high Wyoming peak, or a forgotten detail could ruin years of effort. No matter what your background, as hackers we can all see that Don has set himself a lofty goal, and we can all relate to the stress he’ll be feeling as the Moon’s shadow comes racing toward his instrumented perch on August 21. As I’m watching totality end from my vantage point in Idaho, I’ll be thinking of Don and hoping that the stress turns into the elation that comes when everything works and your data gives you a glimpse of the workings of nature. Yeah, cool and the best of success. This idea of “relativity” being bending of some kinda linear-one-way-accumilator-dimention(kinda-like) we normally call “time”…. Doesn’t anything that move “take time” to do? as in doesn’t a mile per hour take an hour to go one mile irrespective if it is straight-lined, curved, dwn hill, up hill etc…. Relativity seems to be looked at in a straight line from A to B and however long soething takes (Even with a detour) it seems to be considered that an accumilator (time) is some kinda shapable bendable tearable fabric…. Whereas, IMHO, shouldn’t the distances between A and B be streched out based on curvature-edtours caused by the gravitational pull? and thus the actual distance travelled (i.e. light under influence of a gravity) is longer than the direct (Straight-line on a map) distance between A and B. And isn’t relativity meaning: Relative to object A as viewed by object B? (and thus should include all the routes travelled). Don will prove at least that gravity of large objects have somewhat an influence on light amongt achieving his goals… The results will be interesting none the less. none the less…. it still takes time for a photon to emit up until an absorption of said photon. Kind of like sub-atomic magnetic induction in the line of sight of the emitter. An electron (source S) emits a photon (A) to one side and throws another one (B) in the opposite direction by the time (A) has travelled relative to the distance of the electron’s orbit before (B) leaves the atom…. so emitted at the same time and the same distance apart relative to (S). We know the relative speed of (A) and (B) relative to (S) is (C). (A – B == C == -A + B). However, what speed is (A) going relative to (B) if (C) is the fastest constant in the universe? This is akin at what speed is the light from the headlight of a car going at the speed of light? Again, the light is going the speed of light. The photons will however be red-shifted compared to each other. As for gravitational lensing being similar to refraction, that analogy breaks down rather quickly. Refraction occurs because of impedance mis-match (ie; the speed of light (or sound)) changes between two media or physical characteristics (ie; temperature) of a system . There is no change in the impedance of free-space when traveling through (does ‘through’ even make sense here?) a gravitational lens. This is further evidenced by the lack of aberration in a gravitational lens whereas physical lenses have some form of aberration for at least a portion of the image. The way they focus is also drastically different. Gravitational lensing works very similarly to refraction, but the medium effectively has a constantly changing index of refraction. So instead of getting something like Snell’s law, where you’ve got a linear relation between the incident/refracted sines, you get a nonlinear relation. It’s not the math that’s different (although there are higher order effects), it’s primarily the medium. This is akin at what speed is the light from the headlight of a car going at the speed of light relative to where the car started going from 0 to light speed (the starting line)? As in, the light is going 1C relative to the car…. but will the headlamps’ light be going 2C relative to the starting line of the light-way road (Since the starting line will be going at light-speed away relative from the back of the car)? If you have a car moving at 0.9c (can’t do c), when it turns on its lights, the light will move away from the car at c, and light beam speed relative to the start line will also be c.
Were the car to move at c (remember: it can’t, but hypothetically…), time would stop in the car, so you couldn’t turn on the lights. From the drivers perspective they would instantly travel from the starting line to wherever/whenever their speed drops below c.
No. The speed of light is constant in all reference frames, there’s no fixed reference frame. The light would appear normal to the car but color shifted to outside observers. >>time would stop in the car. Again, no. Time is constant even going at the speed of light, your time relative to your twin on earth would appear significantly slowed but it does not stop. This is proven by short lived particles still decaying despite traveling at light speed. So why is light over large distances measured in years assuming a constant speed if time at light speed stops? Also since you’ve got all year to flick on the headlights then why can’t you flick them on? No matter how much pseudo science or ignorance-based-math is used…. (A) is going 2C equivalent to the speed of (B) yet going 1C equivalent to (S). Didn’t Einstein somewhat account for this in his more advanced studies… You know the rest of his theories that isn’t limited to pub-quiz level of schooling? A is going the speed of light, and B is also going the speed of light, they are going the speed of light relative to each other and they are going the speed of light relative to everything else. It does not matter how fast their source is going when they left it, they are going the speed of light. Traveling at the speed of light is the same as not moving at all. If you were in a room with no windows, as long as there’s no acceleration, you can’t tell if your moving or sitting still. It’s the exact same here. It doesn’t always succeed but ‘The Elegant Universe’ by Brian Greene is a pretty good attempt at explaining questions like this without resorting to chalkboards full of math. Vsauce has a video on the subject too if that helps any. So again, both photons A and B are moving at the speed of light from the point of ANY observer. The only thing that would change is the color of the photons. Both would be red shifted when viewed from the other but they are still only going the speed of light. 1) The first part of this question doesn’t really make sense. Very large distances are measured in light-years, which is just “speed of light * 1 year”. It’s just a distance. Doesn’t actually have anything to do with light itself (other than via ‘c’). Not sure what “light over large distances measured in years” means. 2) If you’re *observing* something moving at a velocity, you *observe* its time moving slower than yours. To the object moving, time’s moving forward normally, just like anything else. Muons, for instance, are unstable particles with a half-life of 2.2 microseconds. In 2.2 microseconds, they should travel about ~2200 feet or so. But in fact, you can observe muons coming to you from 100+ miles away in the upper atmosphere. How do they survive that long? Because it’s *not long* for them – they’re at high enough energy that *to them*, it takes much less than 2.2 microseconds to travel 2200 feet. Most of the problems people have with relativity are because it’s difficult to understand the fact that things change depending on the observer. But relativity is just really marrying ‘normal’ kinematics with the fact that the speed of light is fixed and constant. In normal kinematics, the more energy you pump into the system, the less time it will take you to get from point A to point B. This is *still true* in relativity. Want to get to Alpha Centauri in a day? No problem – you just need to pump in about ~1500x the energy-equivalent of your rest mass, and you’ll be there in a day. From *Earth’s* point of view, it’ll take you ~4 years to get there, but you’ll get there in a day. Well, and from Alpha Centauri’s point of view it also takes 1500 years. It takes 1 day to travel at the same time it takes 4 years and it also takes 1500 years to perform the exact travel… hence going at some faster sounding speed turned out slower in said movies…. at least they got something right. So how fast does magnetic induction travel through space? Ok people are already asking that question… a quick Google reveals a lot of said questions, theories and a lot of subjective (Pseudoscience?) answers. a lower frequency light is emitted when a higher frequency light is absorbed… or a given frequency of light is emitted due to forced state of energy change, i.e. shoving 15KV through Xeon gas. It is the reception and thus the energy change in the electron bands that get the induction from the light-speed waveform (sub-electromagnetic induction so to speak… or excites/induces a valence/energy change in the receiving electron/atom). Thus the limit of “light speed” is actually the permeability of space (Vacuum being the ideal permeability). i.e. it is easy to block a WiFi signal with a thick enough wall or metal etc… as it is easy to put a sheet of black paper in front of your eyes. Though I wonder if it is due to this impedance-like limit of vacuum+influential masses causing the electron state change to emit/induce light in the first place? I’m thinking it is due to the electron not being physically able go any faster at a forced state change, yet thermal dynamic laws say it has to accept or dispel that extra energy somehow… thus as light (The maximum energy state of the atom + the little bit too much energy, thus excess sent as a wave of light due to impedance). I guess? Impedance was meant as to acceleration and not in the resistance sense (Nothing slows down until interacted with). Currently using Wikipedia as a stub for sources. Sources pouring out of my head at very inconvenient times…. Aaaaaagh!!! I ain’t see no “Time dilation” or any “Time warping” effects…. Just distance warping, or a wave-form in the making. i.e. the electron moving forward doesn’t make the wave distort from the point of acceleration… and to the electron…if faster-than-light feedback was possible (or a higher energy/”red-shifted” light) then the electron would “see” it self on the edge of the waveform and yet never catching up with it. The time dilation would only occur in the frame of the photon. Of course you don’t see it. You’re not in the frame of the photon. Another way of saying this is that the photon is unchanging: from the time that it’s emitted to the time that it’s absorbed, it has no way of changing at all. Unlike, for instance, any object with mass, which can slow down, speed up, or even turn around without fundamentally changing. This might seem meaningless, but it’s incredibly important – the helicity of the electron, that is, the dot product of its spin and its momentum, can change all the time. For a photon, it can’t. It’s stuck. You can turn a photon around, say, with a strong enough gravitational field, but it’s *spin* turns around too – so the helicity stays the same. For an electron, it doesn’t. Toss an electron up in a gravitational field, and it turns around and comes back down, even though its spin stays in the same direction. So the helicity changes. Again, this might seem pointless, but it’s way more fundamental than you think at first glance. The only way a particle’s helicity can change is if it interacts with something. For an electron, it’s interacting with the Higgs vacuum. All the damn time. The photon never does. For a photon, from creation to absorption, *nothing ever happens*. Whereas for normal particles, things are *constantly* changing. The bending of space literally means that if you plop a big mass in the middle of your ‘one mile’ stretch, there is now literally *more* than 1 mile to go along that path. As in, you would measure that distance again after you drop the mass there, and you’d measure something *bigger* than 1 mile. When people depict “bending space” as dropping a ball on a gridded rubber sheet, a lot of times that’s super-misleading. The thing to note is that near the mass, the *distance between the grid lines has grown*. There’s *more space* there now. I suppose “more space” is being more “distance” as influenced by the mass through the pull that the mass has on said “particle” causing a curvature of influence (i.e. forced to travel in the arc towards the mass, by the mass)? Spaghettification. Basically, the object falling in will be stretched. That’s just the way gravity works, period. This is really just a different way of describing a force, by describing the paths the object takes instead of the forces acting on it. Remember, though, there are two effects going on in the general relativistic sense: not only is there more *space* to go through there, time runs slower as well. But that effect is much smaller. This gets quoted in lots of places (Wikipedia, most notably) but it’s really misleading. Newtonian gravity is a pure attraction between masses, so technically it doesn’t predict any effect on light whatsoever. None. Zip. The “Newtonian bending of light” comes from trying to marry special relativity and Newtonian gravity, and depending on how you do it, you end up with half the bending of light – fundamentally this is because gravity is speed-of-light limited in general relativity, and so it ends up curving spacetime, not just time. So you get the extra factor of two from the curvature of space *plus* the curvature of time. But if you were clever in your expectations, you could’ve guessed (but not calculated) this just from Newtonian gravity + special relativity – you could guess one bending from an “apparent acceleration” on light due to its “equivalent mass,” and the other bending from refraction (time dilation is essentially a non-zero index of refraction). But showing it rigorously (for objects of all velocities) leads you down the rabbit hole of how general relativity was created. An interesting little known fact is that in his Opticks, Newton states explicitly that light also may be affected by gravity- most people are not aware of that because we have so little history of science shown to the public. I should also mention that, when people calculate the “Newtonian bending of light,” it’s often times done two separate ways, via two completely different ideas, that get the same result. The first is to realize that paths in Newtonian gravity actually look like geodesics in a space where you curve time based on the amount of matter. When you calculate that for a light ray right at the Sun’s radius, you get a bending of 2GM/(Rc^2), where M/R are the mass/radius of the Sun. This is doing something like the equivalence principle – gravity is the result of the ‘bending’ of time. This could’ve been predicted pre-special relativity. But more commonly, you’ll see people say “let’s just pretend a photon has mass E/c^2, and calculate the deflection.” When you do this, you *also* get a bending of 2GM/(Rc^2). But this is a totally *different* change of Newtonian gravity, and it’s actually saying that space and time are coupled (that’s where E=mc^2 comes from, after all). This derivation is *more common*, but it *requires* that you know about special relativity. So that’s what I meant when I said you could be clever: you could’ve said “hey, let’s assume relativistic gravity’s going to have *both* of these effects, and add them,” and then you’d get the right answer. I second the thanks. I did not understand where that was coming from! I would expect that smartphones would use something like a look-up table and the fiendish maths was done somewhere else where battery capacity was not a problem. But if anyone knows how it’s done , and it can be explained succinctly, please comment. Chapters 4-5 teaching celestial navigation for 200 years. You can also take some rtl-sdr TV tuner (GPS frequency should be in range of atleast some tuners) or other SDR receiver, and write all calculations in software. I think there exists a purely software GPS receiver. Great topic- the famous astronomer Charles Pickering expressed doubts about Eddington’s claims in “Shall We Accept Relativity” – free and in the public domain if anybody is interested in reading it. In addition Charles Lane Poor did an opposing critique of Eddington’s claim in his 1922 book “Gravitation Versus Relativity” which is an interesting read for anybody who has never heard a single criticism of the claims of relativity, Lorentz and FitzGerald. Albert Michelson, whose famous experiment lead to the theory of space and time contraction doubted FitzGerald’s explanation even as late as his 1927 “Studies in Optics”. Eddington was credited (or debited) as being the person who “introduced relativity” into England-University College of London professor Herbert Dingle, initially supported Eddington and relativity, but later rejected it and had some smart writings even getting published in Nature with his doubts about the theory of relativity. Virtually all of those criticisms have either been refuted or reneged by relativitists – Penrose and Hawking most notably – and physicists like John Stachel and Daniel Kennefick, among many others. The Newtonian model was great for it’s time, but relativity corrects so many conceptual and mathematical deficiencies inhered in the Newtonian model that most criticisms of it tend to reveal miscomprehensions in the critic’s understanding of the theory (e.g. Poincaré’, Lorentz, and even Michelson all misunderstood varying parts of SR and GR) rather than flaws in the theory itself. Of all the major scientific theories ever created, it’s probably, a priori, the most elegant theory ever created by the human mind (and this is coming from somebody who works in a condensed matter physics lab). It’s dense but symmetrical, and it can be solved any number of ways provided you have the mathematical skill. Gödel’s rotating universe, for instance. We know relativity is right (I know, I know, no scientific theory can actually be “right,” it can only be proven false – a neat byproduct of Karl Poppers inimitable criterion of falsifiability). The question is to what limit. At the event horizon of black holes do the equations no longer remain generally covariant? What about dark matter and dark energy. Both Quantum Mechanics and General Relativity have plenty of unresolved questions but insofar as ANY theory can ever be shown to be “true”, GR, for many reasons too lengthy to go into here, is CORRECT. We couldn’t have ever predicted black holes without it, nor the accelerating universe, cosmic microwave background effects dating back to the Big Bang, the Big Bang itself etc. In the future both GR and QM will likely be subsumed by a better, more comprehensive theory that explains all phenomena, classical and quantum. But that doesn’t make GR and QM “wrong” anymore than it makes pre-relativity classical physics “wrong” (it makes it ‘partially true’ to a certain limit). After all, we put a man on the moon with classical physics. Scientific theories must possess conceptual verity, mathematical verity, and empirical validation. Absolute space and absolute time suffer from the first requirement. Any future TOE must possess all 3 AND predict things the others don’t predict/explain things the others don’t. Descartes notion of “clear and distinct ideas” still rings true. No, it wouldn’t. It would be like measuring the Eiffel Tower with a precision of the length of a second from an observatory in New York. And is it really that hard to measure the length of a pencil in Paris when no requirement is specifie. As long as I can see the pencil, if I say it’s been a micron and a parsec in length I’m right (assuming it’s a normal sized pencil). Precision the length of a pencil. Sorry, I shouldn’t type so fast. That one irked me too. You can just say that the pencil is ‘one long’ and you would be right, because no requirements were made regarding accuracy or even the unit used. That the pencil is a meter long, plus minus a meter, would also be acceptable. Was Einstein right? Of course. Learning how and why he was right is what has occupied most of our efforts–concerning things General Relativity–since 1915. And every time someone gets a chance–because of an advance in experimental techniques–to test some new aspect of Relativity, he gets ‘righter’. I wish him luck! That article alone trumps all the negative news that has been going on recently. There is hope for humanity. Good Luck Don!! I think it’s amazing what your doing!! Am I the only person who think that looks like an older version of Brian ? We do NOT know that Einsteinian relativity, General or Special, is correct. All of the predictions so far “proven” can be explained by other means. For example, the so-called gravitational lensing observations around the Sun during an eclipse, and around galaxies in other situations, can be explained by conventional lensing – there is a lot of plasma around the Sun, which on average is denser closer to the Sun, which acts just as a convex lens (similarly with galaxies, cf intergalactic space). The fact that lensing around galaxies often shows light to be a lot “bluer” than expected is also is a blow against gravitational lensing, which would “bend” all frequencies the same amount, unlike conventional lensing. Also, the comments about GPS being “verification” of relativity is also incorrect – Einsteinian relativistic adjustments are NOT required for GPS. See e.g. http://milesmathis.com/gps.pdf and http://www.ldolphin.org/vanFlandern/ for details.